While the family here in this mama’s corner of the world is not gluten free by medical necessity—we try to limit gluten by choice when possible. Our interest in gluten free foods comes more from the fact that I find that our family’s mood and health improve when we limit the gluten in our diets. Since old habits (and favorite meals) die hard—we still find ourselves with the occasional pizza craving. I have used a few gluten free pizza dough mixes with success—and was recently surprised to discover tubs of gluten free pizza dough offered by Pillsbury in the refrigerated bread and dough section of our grocery store. The lure of a quick and easy, just-roll-it-out-straight-from-the-fridge-gluten free crust caught my attention. 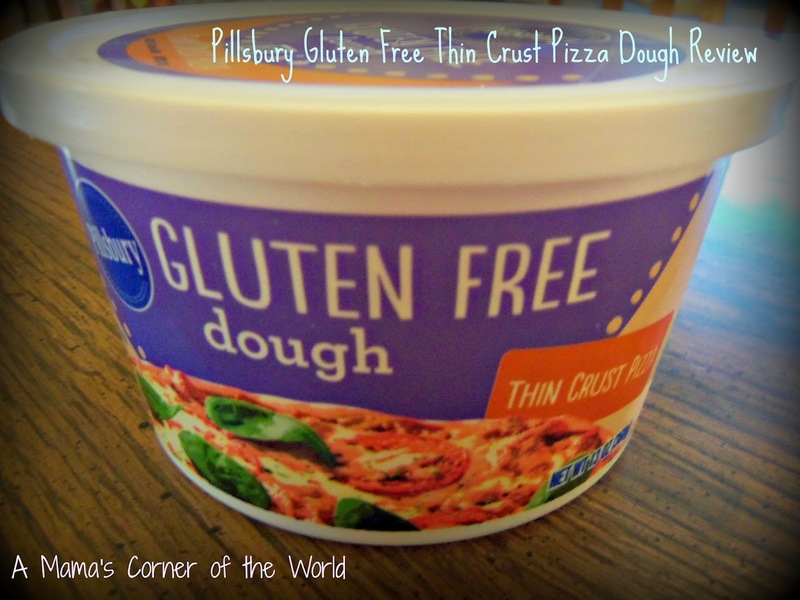 What did we think of the Pillsbury Gluten Free Refrigerated Pizza Dough? 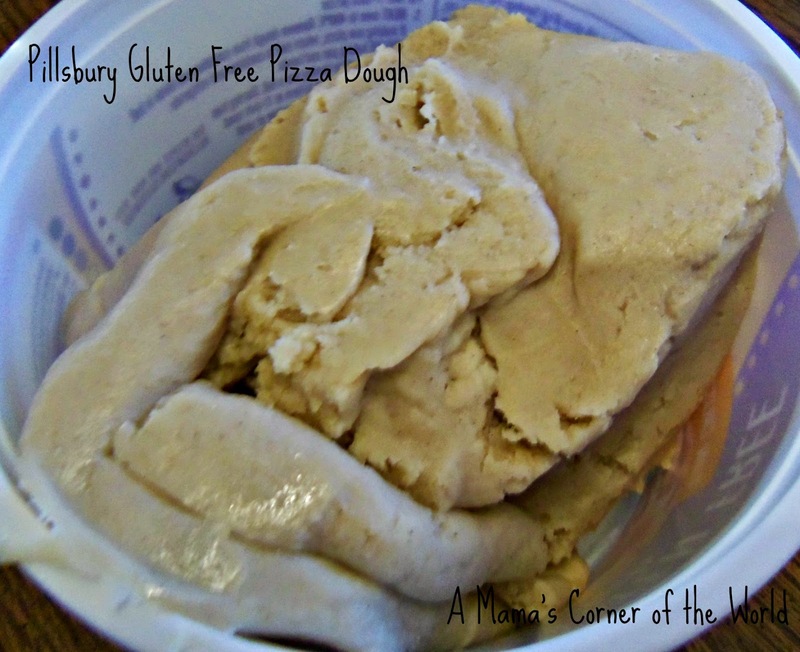 Was Pillsbury Gluten Free Refrigerated Pizza Dough quick and easy to use? I was hoping for a quick and easy to use gluten free pizza dough. While making my own dough is not all that difficult—there are just times when I would like something fast and ready to bake after a busy day or for a rushed morning meal. How did Pillsbury’s Gluten Free Refrigerated Pizza Dough stand up to a busy Sunday morning? The package claims to have enough dough for two large, thin crust pizzas. 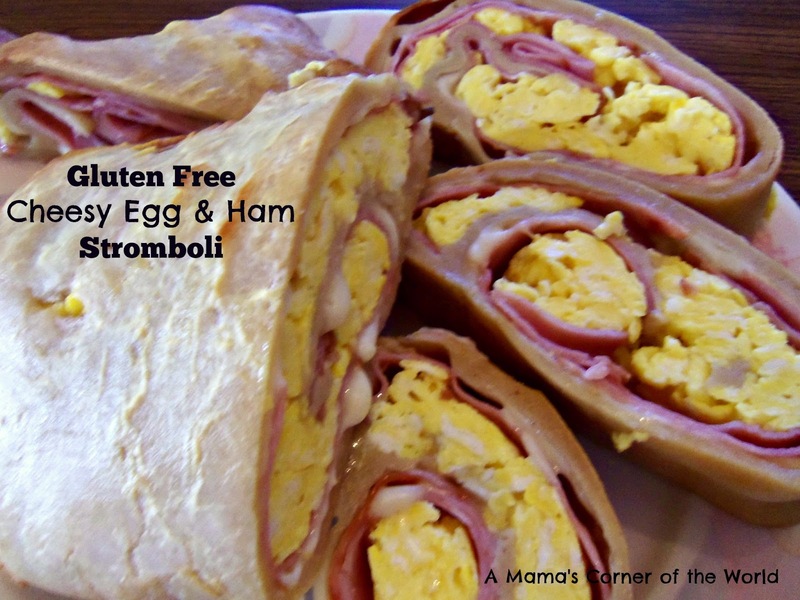 I decided to use the dough for a cheesy ham and eggbreakfast Stromboli instead of traditional pizzas. I formed the dough into a ball, to soften it, as the package instructions suggested. Since I wanted a large rectangle—I used the entire package of dough for my recipe. I plopped it onto a piece of parchment paper and rolled the dough to the desired thickness and dimensions. All went well until I tried to remove it from the parchment paper. It was horribly stuck. Glued to the paper in fact. Hmm. I was disappointed. I had my filling ready and my dough was a gooey, torn up blob. I picked and pried all of the dough off the paper (or as much as I could salvage), returned it to its container and to the refrigerator. Plan B. Time to salvage breakfast. I sprinkled rice flour over my work surface, coated my hands and my rolling pin in the flour and even dusted a bit onto the dough itself. This helped a lot. I was able to create a rectangle from the dough, stuff it and roll it up. It required a lot of patience. It was not a quick process. The dough was not easy to work with, it tore easily and was extremely sticky. Perhaps it would work well for just basic pizza dough—but, it didn’t work well for my needs with the Stromboli recipe. How did the Pillsbury Gluten Free Refrigerated Pizza Dough bake? I did not see much difference in the texture and consistency of this gluten free dough to others I’ve made. It baked through, crisped slightly as browned as expected. How did the Pillsbury Gluten Free Refrigerated Pizza Dough taste? The family was split on this issue. I thought the dough was chewy and I didn’t enjoy the flavor—or the slight “yeast-y” odor. My middle daughter opted to eat the filling and skip the crust. The husband and the youngest daughter seemed to like it well enough. Would I recommend the Pillsbury Gluten Free Refrigerated Pizza Dough? It is a convenient alternative to homemade gluten free pizza dough or mix-it-yourself-gluten-free-dough. I found it difficult to work with—and would certainly recommend that you use a lot of gluten free flour on your hands and work surfaces to keep the dough from sticking to everything as you roll it and work with it. I wasn’t a huge fan of the taste and would probably not buy it again. I have a few tried and true gluten free dough recipes and go-to mixes that I would lean toward instead. Bottom line: The dough may be fine for just pizza crust—but, is difficult to work with for other recipes. The flavor and texture were not hits with the whole family. I wouldn’t likely buy this again—except for (maybe) simple pizza crusts. Note: I received a free sample of this product from Pillsbury and Platefull CoOp for use in my kitchen. I was not compensated for this post and was not asked to review the product. All opinions are my own.